(Reuters) – Japan’s Suzuki Motor Corp (7269.T) will pull the plug on its unprofitable automobile sales business in the United States after nearly three decades, hurt by a strong yen and a limited choice of vehicles that failed to excite consumers. Suzuki said on Tuesday it would use a Chapter 11 bankruptcy filing by its U.S. subsidiary in federal court in California to shut down the auto business and to focus instead on sales of motorcycles, All-Terrain Vehicles (ATV) and boats. The departure of Suzuki ends a 27-year effort to gain traction in the world’s second-largest auto market and should most benefit Kia Motor (000270.KS) and Nissan Motor (7201.T), the two brands that car shoppers most compared to Suzuki, according to car shopping website Edmunds.com. The bankruptcy could allow Japan’s No.4 automaker to step away from its contractual responsibilities to the more than 200 dealers who maintain franchises, much as General Motors (GM.N) and Chrysler were able to drop dealerships in their 2009 bankruptcies. 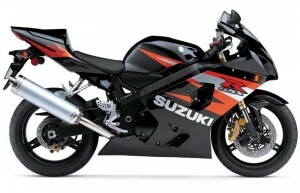 Suzuki models did not catch on in the United States, and the company suffered from a lack of investment in new vehicles. It also struggled from the strong yen that makes it more expensive to export products fromJapan. It sold 21,188 vehicles in the United States through October this year, a 5 percent drop from the previous year at a time when the overall market was up by 14 percent. That made the brand the second worst-selling mainstream brand, behind the Smart micro-car. Suzuki, which had marketed the Kizashi sedan and the Grand Vitara SUV in the United States, said it would continue to honor warranties during the bankruptcy and did not see the need for outside financing during the restructuring. American Suzuki Motor Corp, the sole distributor of Suzuki vehicles in the continental United States, will file for bankruptcy with $346 million in debt, of which $173 million is owed to Suzuki group companies, the company said. The Japanese parent company plans to buy the motorcycle, ATV and outboard engine operations out of bankruptcy and shift its auto business to service existing vehicles on the road. The new U.S. operating unit plans to keep the American Suzuki name, it said. Suzuki’s failed tie-up with Volkswagen (VOWG_p.DE) on vehicle development had raised questions about its commitment to the U.S. market and whether it would be able to invest in a revamped product line-up months before Tuesday’s announcement. Shares of Suzuki sunk in early morning trade but were up 0.38 percent at 1842 yen as of 11:01 a.m., slightly outperforming the Nikkei index .N225 that was down 0.3 percent.